Chanel’s new campaign ‘Take A New Chance’ After working with the brand since 1990, graphic designer Jean-Paul Goude partnered with choreographer Ryan Heffington and musician Sam Spiegel to create this new digital advertising campaign. 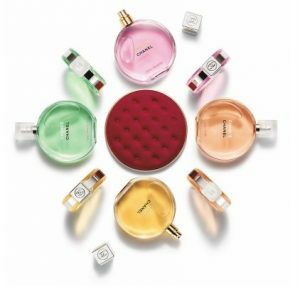 The focal point of this release is the new Chance Eau Tendre eau de parfum. The video puts its own spin on the flash mob, using four models and a choreographed dance with chairs to feature the new Chanel product and this is revealed right at the end. The idea behind the campaign is to promote taking a new chance, just like the models in the video did in their ‘audition’. It’s an interesting concept and fits in well with the recurring mantra circulating the Internet, focussing on chasing your dreams and goals for the future. This fragrance is a new spin on the original Chance Eau Tendre eau de toilette, but with a more intense and long-lasting feminine and sensual fragrance, as opposed to the original soft, fruity-floral scent. The original fragrance had a few issues that were brought up by customers, who said that the longevity of the scent was a big concern. It wasn’t lasting well on the skin, and after the new eau de parfum was released this month, these issues have been resolved. 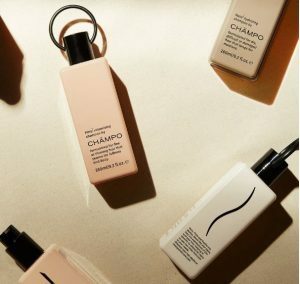 Hair care brand Chāmpo launches with a cultural twist to their new ranges The new British hair care brand, Chāmpo launched this month and have been sharing their alternative approach to hair and scalp rejuvenating products. The name Chāmpo comes from a practice in India referring to cleansing and massaging the head and hair strands. What is interesting too, is that by the 19th Century this practice was introduced to Britain and eventually became shampoo, the hair care product that we know and use regularly today. By combining the science of trichology, using active botanicals and Ayuvedic principles, alongside a contemporary design, they have created an exciting hair care range that is now available online. The products also take inspiration from the founder, Kuldeep Knox’s Indian heritage, as well as being split into three new ranges to deliver a customised hair care system, tailored to the customer. The new collections are based on Ayurvedic doshas: Vata, Pitta and Kapha, determined by an online hair quiz. Ayurveda is a traditional Indian holistic healing system, focussing on balancing the mind, body and spirit. Beauty sustainability After the wide scale plan to take action on the planet was covered by news sites all over the country last year, the idea that we can help the environment, the air we breathe and our future, by making a few simple changes has stretched over into the beauty industry. AromaWorks are committed to using cruelty free, vegan friendly and all-natural ingredients, with only the purest essential oils. They have a wide range of Skincare, Bath & Body, and Home Fragrance ranges that are all-natural and use unique blends of the finest essential oils. Their AromaBombs are a perfect way to relax the mind from the stresses of the day and uplift the spirits to provide a wonderfully balancing experience. It combines the power of four essential oils working in unison to provide the ultimate home spa experience. 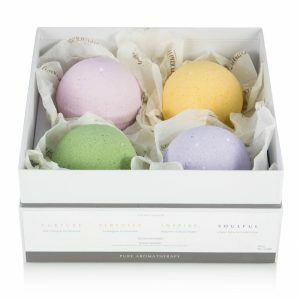 They are the only 100% organic bath bombs in production in the UK and they have been approached by other brands for use of their factory facilities. This is something they are particularly proud of, as are we; and it’s great working with them as part of our roster of wonderful, and ethically responsible clients.